Fiat are taking the bull by the horns with their concept SUV bakkie named the Toro*. 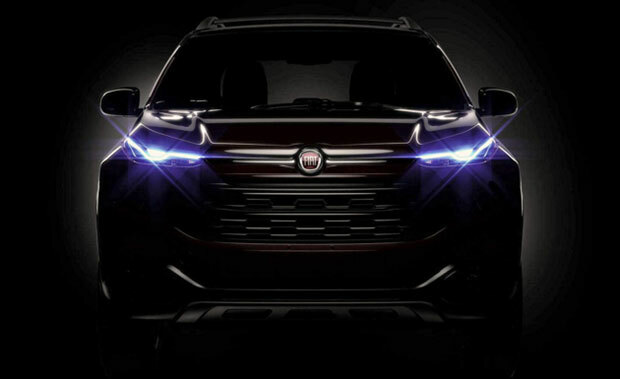 Fiat released the above teaser image to the public recently, to titillate the Fiat fans and possible irritate their industry rivals. With a rumoured ride made from a modified Jeep Renegade, the Fiat newcomer promises to blow the competitors out of the water. Fiat has announced that the new Toro will “bring all the strength characteristics” of the versatile bakkie with the easy-driving experience, technological features and luxury features of the well-loved SUV. Although it may be a while until we see this Fiat in Cape Town, they are set to launch the Toro early next year. For a Fiat that you can drive today, have a look at our extensive Fiat range available on our showroom floor and available for nationwide delivery. Rumour has it that the Toro rides on a modified Jeep Renegade platform. More details about the newcomer will be released in the coming months.